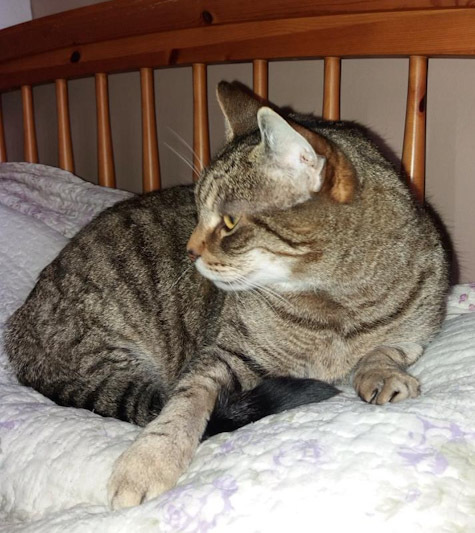 Ernie is a lovely young tabby cat, only a year old. 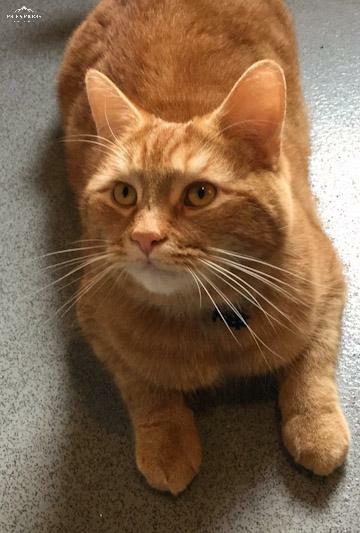 Ernie is a very friendly, confident cat who enjoys playing and nuzzling. Ernie has a lovely personality, and is great company. Ernie is used to dogs. Ernie is very much loved, but his owner is not allowed to keep him in her current accommodation. Happy news: Toby has been adopted. Toby is a very handsome young cat, not yet 2 years old. He is a lovely, companionable cat, seeking a new home. Toby would like a quiet, peaceful home with a garden. He would like a family that can give him lots of cuddles and head nuzzles. He is used to older children. His current owners cannot keep him due to allergies in the family. Toby is a direct re-home. 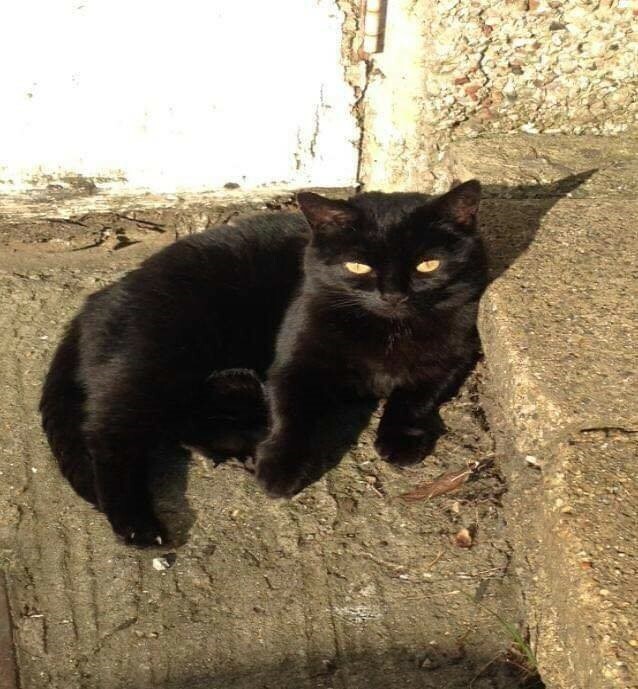 Sophie is missing from Clarks Close on the Kings Hill estate, Ware. 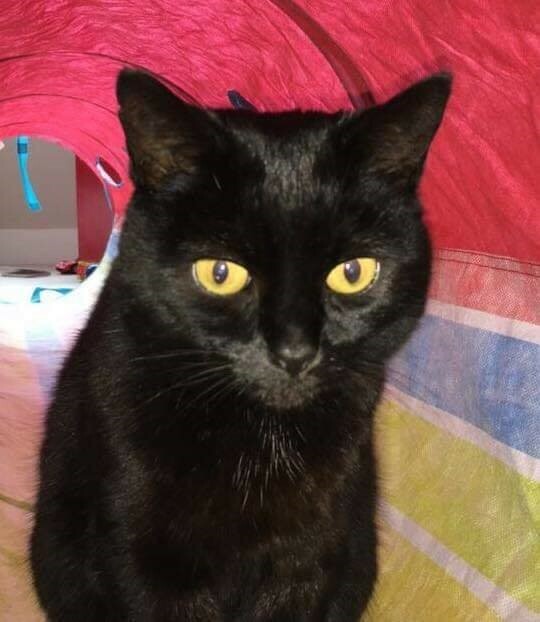 Sophie is a small, short-hair black cat and is micro chipped.She has been missing since Friday, 8th March. 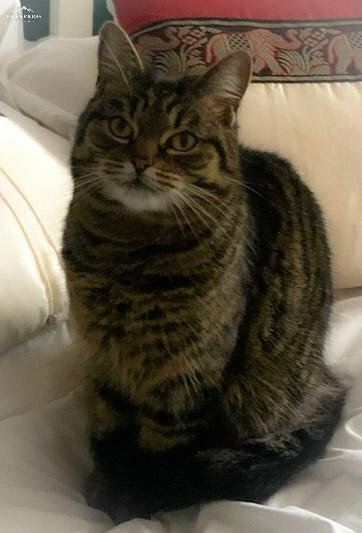 She has been missing since Friday, 8th March. 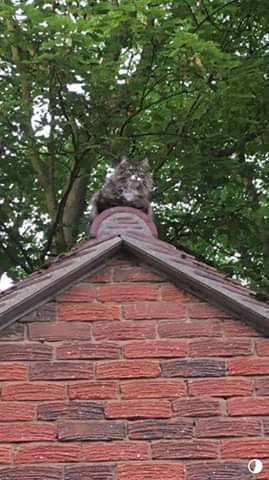 Any information please call 07974 312076, or contact Cats Whiskers Rescue on 07878803137. Ruby is a very sweet, gentle cat. She is about 10 years old. Ruby’s story is heartbreaking. She was taken to the Vet by her owners who wanted her to be PTS. They were moving and not taking her with them. 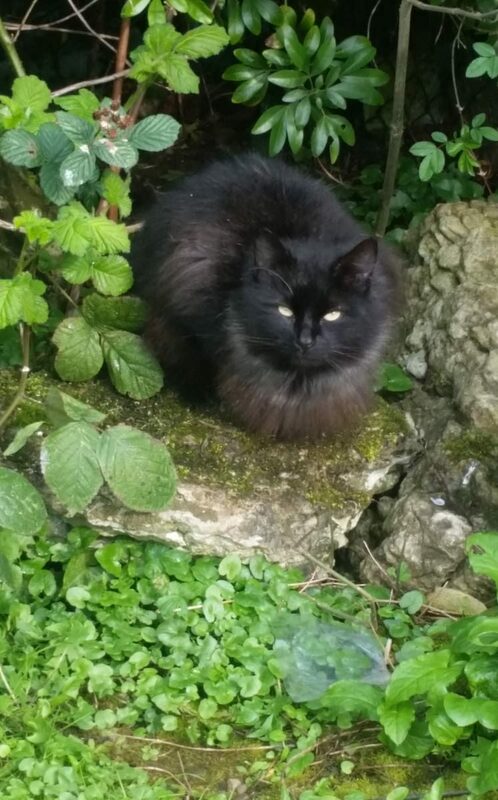 The Vet refused to PTS a healthy cat, so the owners dumped her. 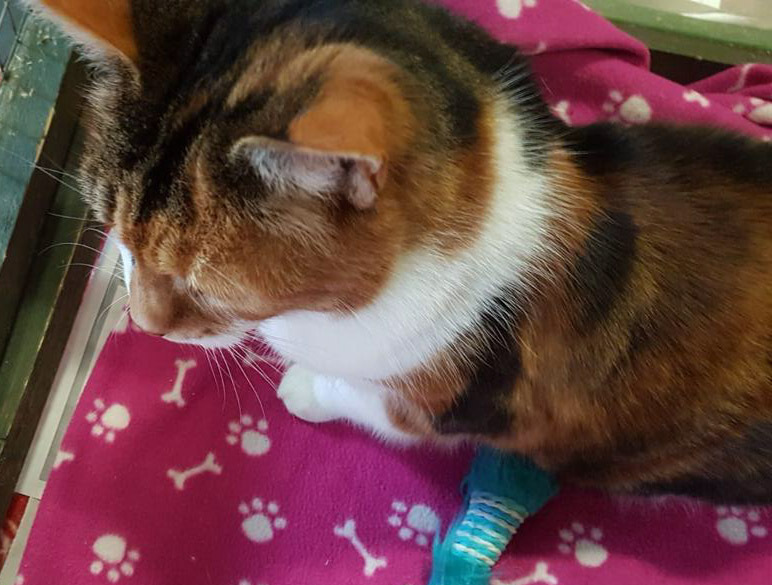 The Vet called us, and we gave Ruby an emergency place at our cattery. Ruby deserves so much more in life. 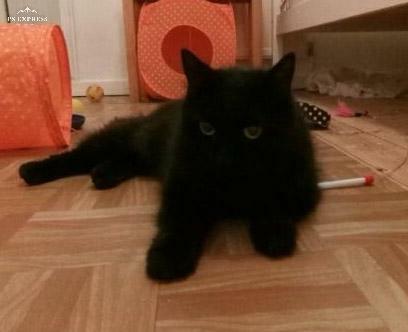 Could you give this lovely cat a real forever home? 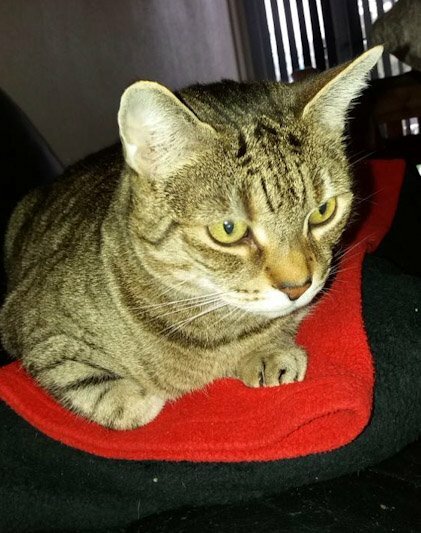 Pepsi is an adorable 10 year old family pet. Pepsi loves a cuddle and is good with children. Sadly, Pepsi and the owner’s dog do not get along, so Pepsi needs to find a new home. He is a homebody, but does like a garden in which to stretch his legs occasionally. 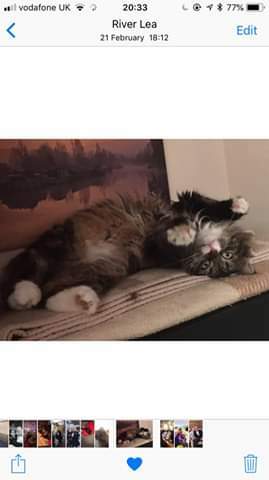 Pepsi is neutered and microchipped. He is a direct re-home. Happy news: Tina has been adopted. 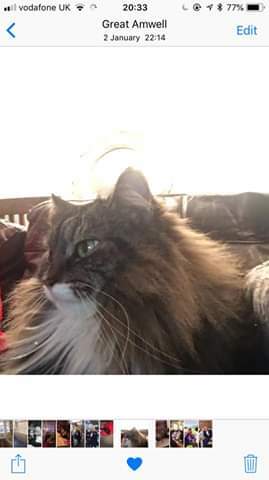 Tina is a gorgeous fluffy 10 year old cat. 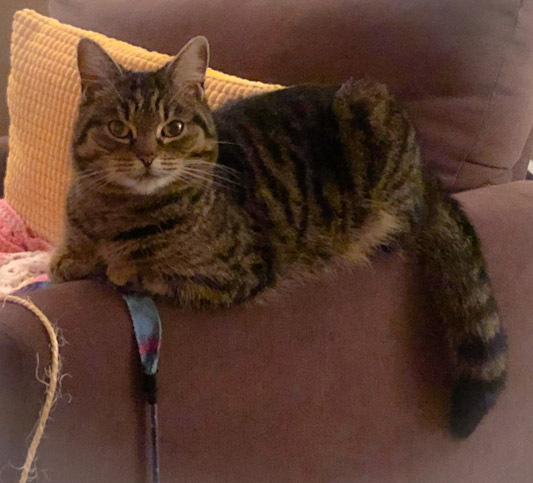 She loves playing in the garden and having attention from her humans, both adults and children.Tina really enjoys having her coat brushed – a necessity for a long-haired cat. 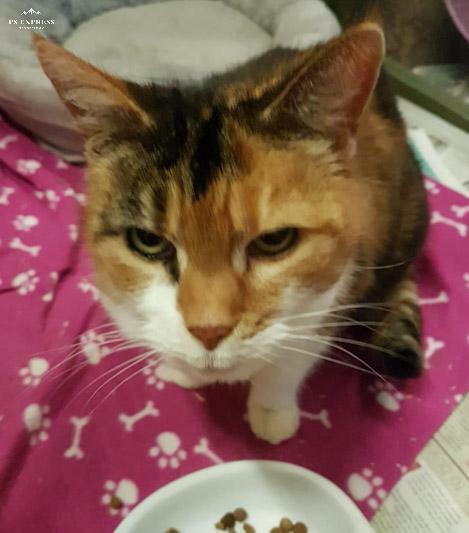 Her new family must be ready to groom her regularly.Tina came into our care as her owner sadly passed away. She was adored by her previous owner, and would make a lovely, playful companion for her new owners. 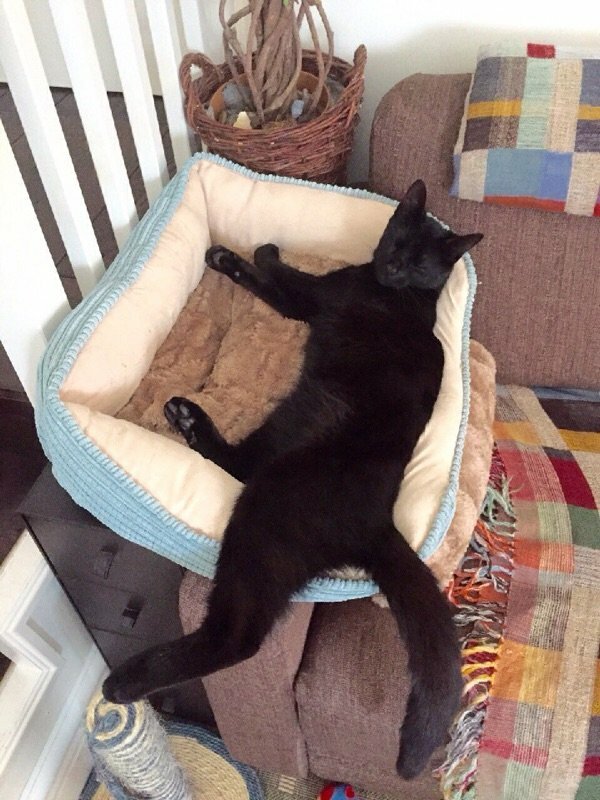 Max, a black cat, was reported missing this morning. He has been missing for 24 hours. He is 3 years old and chipped. 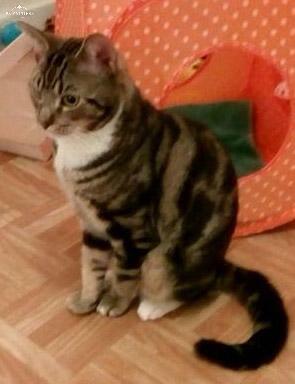 He went missing in the Hoe Green Lane area of Little Berkhamsted.